Energy drinks are giving more people a rush they we weren’t looking for—a rush to the hospital emergency room. 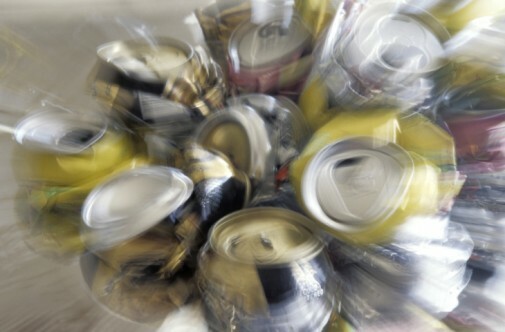 A new report from the Substance Abuse and Mental Health Services Administration says the number of emergency room visits from people misusing energy drinks doubled from 10,000 visits in 2007 to nearly 21,000 visits in 2011. More men than women showed up in the ER, the report said. Surprisingly, the biggest increase was seen in people over 40. Unlike coffee or soda, the amount of caffeine in an energy drink can be as much as five times stronger than a cup of coffee. Other additives can increase the stimulation of caffeine, making the buzz that much stronger. The effects of too much caffeine can prompt a host of health problems, including seizures, racing heartbeats, insomnia, severe headaches and anxiety. Some energy drinks now include alcohol, which can further increase the dangers. The national Centers for Disease Control and Prevention says those who consume alcohol mixed with energy drinks are three times more likely to binge drink than drinkers who don’t mix alcohol with energy drinks. Health experts say that caffeine or other stimulants are not good choices to stay awake and alert. They recommend keeping a reasonable schedule that allows for seven to eight hours of restful sleep.